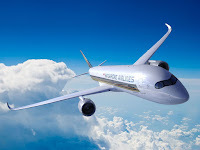 Singapore Airlines (SIA) has confirmed today it will launch the world’s longest commercial flights this coming October! The popular airline will operate a new non-stop services between Singapore and New York using the new Airbus A350-900ULR (ultra-long-range) from 11th October 2018. Singapore Airlines says the route will initially be served three times a week, departing Singapore on Monday, Thursday and Saturday heading to Newark Liberty International Airport. The carrier confirms that daily operations would commence from 18 October after an additional A350-900ULR aircraft enters service. The flights will cover a distance of approximately 9,000nm (16,700km), and travelling time will be up to 18hrs 45min. 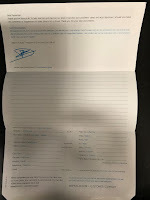 Singapore Airlines previously operated the Singapore-Newark route until 2013, when services were suspended after the aircraft used at the time, Airbus A340-500s, were returned to Airbus. The airline is the world’s first customer for the new powerful A350-900ULR, with seven on firm order with Airbus. 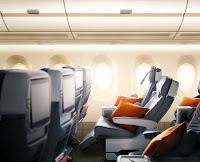 The aircraft will be configured in a two-class premium layout, with 67 Business Class seats and 94 Premium Economy Class seats. Tickets for the new flights will go on sale from tomorrow. The A350-900ULR will offer customers a more comfortable travelling experience with features such as higher ceilings, larger windows, an extra wide body and lighting designed to reduce jet lag. Its carbon composite airframe also allows for improved air quality due to a more optimised cabin altitude and humidity levels. Another ultra long route is on the cards by SIA with these super new A350-900ULR, they are planning a new non-stop service between Singapore-Los Angeles, although no start date has yet been announced. *All times local. Flight schedule is subject to daylight savings, slots and regulatory approvals.